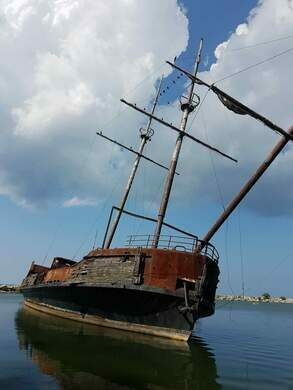 Looking like some crashed and forgotten pirate’s galleon, Ontario’s wreck of the Grande Hermine floating restaurant is actually a dilapidated replica of an earlier ship. The original Grande Hermine was a three-masted sailing vessel from the 1500s. While the original did not survive into the modern day, a replica was built for Montreal’s 1967 Expo event. This version of the ship was not meant for transportation, but rather it was built as a gimmicky floating restaurant. Once the fair ended, the floating eatery was put on permanent display in an Ontario City park. There is was left to fall to pieces until it was finally broken down and destroyed. 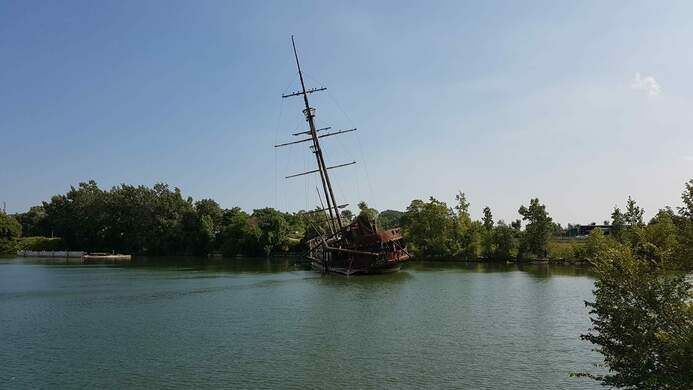 The ship that sits near the small town of Jordan, Ontario today is a second replica that was built by a business man who wanted to try firing up the whole floating restaurant thing once again. Unfortunately, it didn’t take the second time either, and the boat was again left to rot in the lake water, keeling over dangerously to one side. A fire destroyed much of the ship in 2003, thought to have been started on purpose. 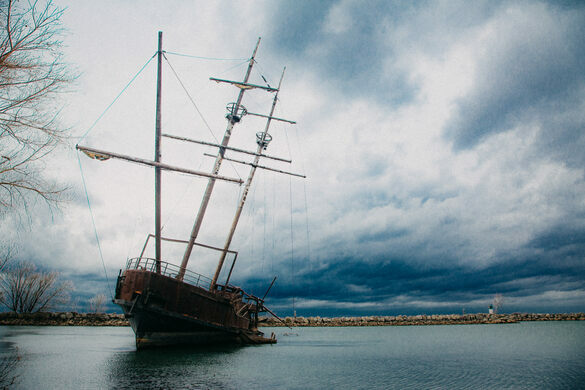 Today the ship’s skeleton still sits on the shores of Jordan, looking like it could topple over at any moment. 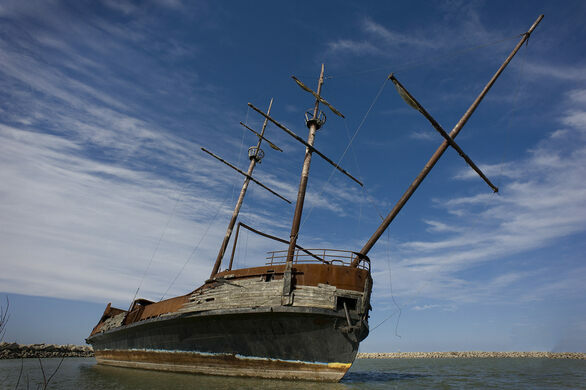 But even in death, the ship has become a favorite landmark among people driving by, and a tantalizing target for those brave or foolish enough to try and explore it.